It was showcased at Google IO, but I thought it was going to be something only available for Android L devices. 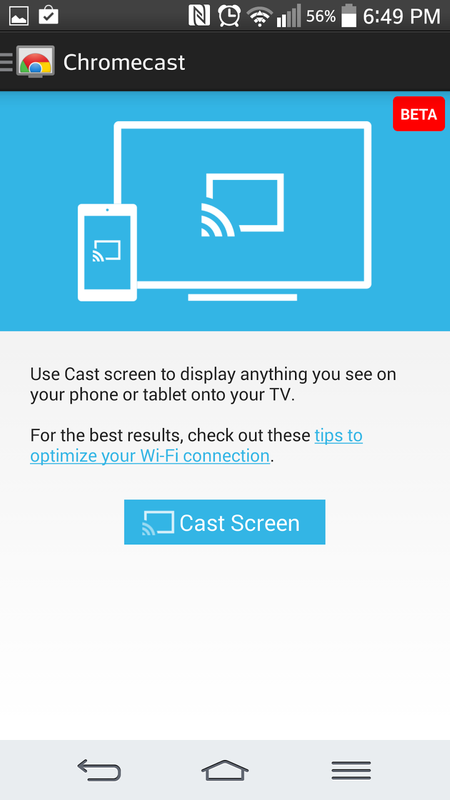 But not so... a recent update to the Google Services and to the Chromecast app now allow you to cast your screen to your TV. On my Nexus 4 I was able to cast before the app update, just by choosing the 'cast' option that shows up in the system tray (two finger pull down). 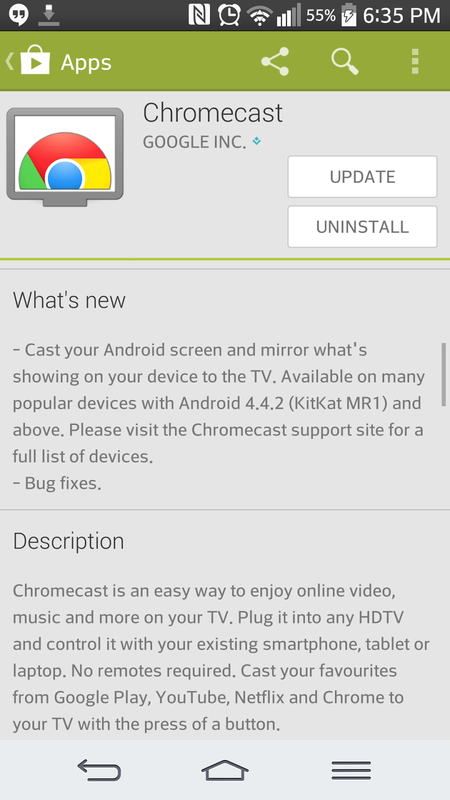 On the G2 I had to wait until the Chromecast app udpated, and from the app I could then cast. I have to say, I was expecting some 'poop' for quality... but it was quite good actually. Nothing super smooth, but playing Angry Birds Epic only had some lag here and there. Plus, audio goes through the TV as well.